Everyday Meg : Reflections on Year Two. Yes, yes, yes to this. I love everything about this. My room is definitely a lot of organized chaos - and it is fabulous. :) Happy summer! 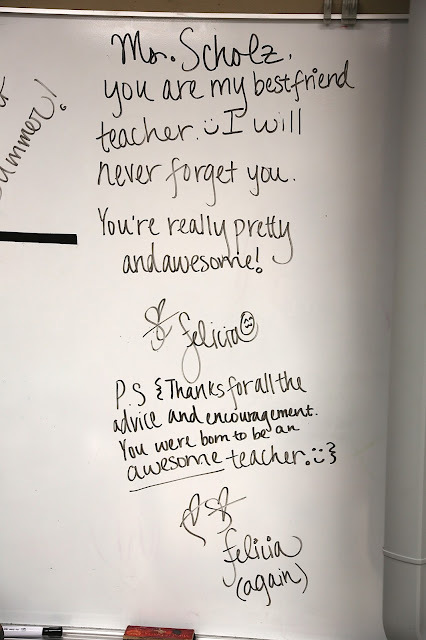 what a sweet note from a student! I tried to be better at letting my classroom be louder and students talking and moving and me not controlling everything! congrats on your second year done! What awesome opportunities you have with your students! You will learn so much and your hard work will definitely not be forgotten. I'm glad you found something you LOVE. :) Can't wait to hear about year 3! Happy Summer!!!! I've got to say, Felicia was right: you were born to be a teacher and you're great at it! I'm so glad students have you as such a consistent positive role model. Bravo to your second year; a job very well done! Oh my goodness. I love your passion for teaching! & your teaching philosophy! I can't wait to have a classroom of my own (which won't be for about a year & a half but still haha) I've always wanted to teach little bitty ones, like first grade, but I like the idea of teaching 8th grade.. you're right, it's SUCH a defining year! HOW SWEET! I didn't know if I'd ever told you that Nick taught 8th grade too. He loved it for all the same reasons you did. You're such a cool teacher! There needs to be more teachers like you! Congrats on another year! Being Decent People Skills should rank at the top of any list. They can always Google the stuff they forgot, but those skills need to be taught/learned over time. Wish I had a kid in your class! No, wait... my nest will be empty in three years... never mind! LOVE everything about this! My classroom is by far the loudest in the school and I'm across from the principal (AH! )...it's my first year and the noise has definitely gotten me some flack...but having students moving, creating, and discussing is so meaningful and awesome. Sometimes I feel like the only teacher who is ok with a little noise! Happy Summer! Just found your cute blog! 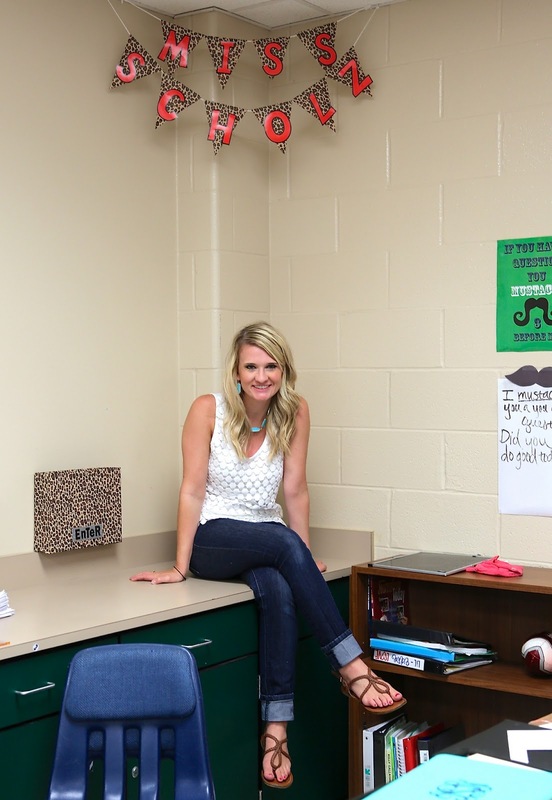 I'm just finishing up my first year as a kindergarten teacher! I love everything about this post and couldn't agree with you more! Your babies are so lucky to have you as their teacher!!!! Love this! I finished my second year of teaching this year to and agree it had different challenges. I must ask though....are you allowed to wear sleeveless shirts to school?! I would be SO jealous!! !